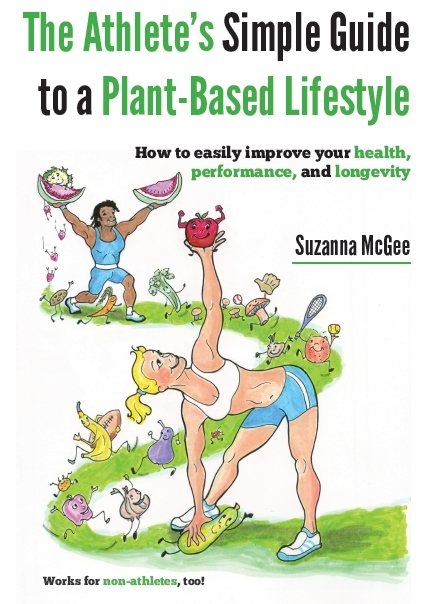 This entry was posted in Injury Prevention Myofascial Release Nutrition on May 9, 2012 by Suzanna McGee. 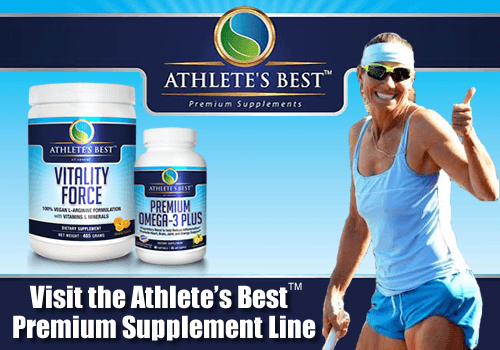 All athletes, high-level or fitness enthusiasts, often push their limits to the extreme. Playing on hard surfaces and the uneven nature of tennis where one side is used more than the other, makes it hard on your body. You need to spend as much time and effort—if not more—on recreating balance and health in your body as you do on playing tennis. Almost everybody who experiences tight shoulders and neck accompanied with tension headaches knows how unpleasant the pain can be. A few people suffer from them regularly. The culprit is a bad posture with the head forward, weak upper back muscles and tight chest muscles. People with round upper backs and heads forward are a common sight when you look around. The older they are, the more distinct it is because the gravity will accelerate the process if the surrounding muscles are weak. Unfortunately, we can see this phenomenon among still relatively young tennis players as well. In the majority of tennis strokes, you perform an upper body turn while rotating and loading in your hips. Additionally, some of trunk rotation comes from the thoracic spine (the upper back). The overuse and small micro-tears will cause the upper back muscles to tighten to protect themselves. If the upper back becomes weak and tight, you experience severe problems and pains. The tight muscles do not allow as much blood flow into them and therefore there is not enough supply of nutrients and energy needed to stay healthy. Tight muscles eventually get weak and then tighten even more. You need to break this vicious circle. Focus on your posture until it becomes a habit. Bring your shoulders back and keep your head straight up. Remember that slouched shoulders can cause rotator cuff problems. Strengthen the upper back muscles with a variety of rows and pulls. Reposition the shoulders with elbow touches and arm circles. Tight muscles often contain trigger points. With stretching, you can lengthen the muscle, but if the trigger points remain there, the muscle will tend to shorten again. In addition to stretching, perform myofascial release to get rid of the trigger points. Lie down on a top of a foam ball or a tennis ball that you place under your upper back in the shoulder blade area. Bend your legs and lift the hips off the ground, which will help to apply sufficient pressure on the ball. Keep your hands either under your head to support it, extend them above your head, or give yourself a big hug— each variation will feel different. Experiment with the various positions to find the best response. Roll around until you find a painful trigger point, and while breathing deeply, stay on the spot until the pain dissipates. Then roll to another spot in your upper back and methodically go through the entire area, until you do not find any more trigger points. Keep your upper back muscles healthy and your posture straight. 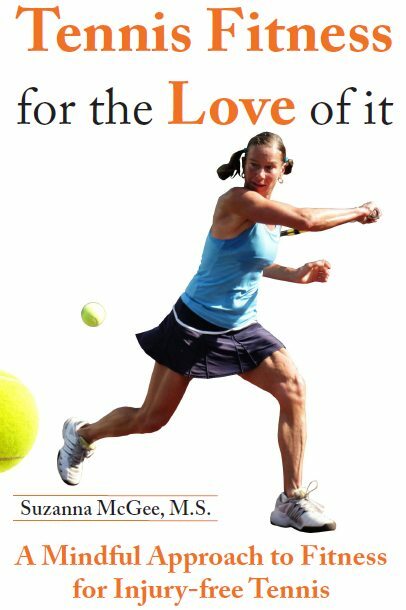 You will feel and look better, and your tennis game will benefit as well. Chia is an ancient plant with tremendous nutritional value and medicinal characteristics. The seeds were used by ancient cultures as high energy endurance food, especially for their running messengers, who would carry a small pouch with the seeds. Chia has been called ‘Indian Running Food’ and gives a steady stream of energy. Chia is nutrient dense and full of trace minerals (like potassium), vitamins, antioxidants, fiber, and essential fatty acids. It is high in omega-3 fatty acids, so it a great addition to anyone’s diet. Chia seeds are a great way to clean out. The seeds bulk up and work like a digestive broom, sweeping through your intestinal tract, helping to dislodge and eliminate old accumulated waste in the intestines. Chia seeds have the ability to absorb more than twelve times their weight in water, thus allowing prolonged hydration. The seeds help in retaining moisture and regulate the body’s absorption of nutrients. Read more about Chia at Wikipedia. The easily digestible chia seeds are a great post-workout snack because they transport fast to the tissues and are utilized by the cells. Chia seeds will replenish iron, calcium, and potassium — the lost minerals during your tennis practice hrough sweat and muscle contraction. Chia seeds help speed up the recovery thanks to to their high amounts of protein. Due to their exceptional water-absorption quality, they will help you prolong hydration and retain electrolytes. There are new drinks on the market where they add chia seeds in the drink. You can easily make such drink yourself: add the chia seeds into your favorite beverage, let them swell a bit, and then keep drinking. You can get chia seeds at any health food store, or at my favorite shopping place – Amazon.com. Here is my favorite brand of chia seeds on Amazon. Why is it so hard to make lasting changes in our habits, behaviors and lives? You decide to get fit, start working out and then something sabotages your efforts. Or you want to get lean, start a great healthy diet, but then one day you give in to the “bad” foods and your efforts are gone. Why does this happen more often than we wish? The authors of the book say that we have a conflict in our brains, because our minds are ruled by two different systems: 1) the rational mind, 2) the emotional mind, and they compete for control. The rational mind wants a great beach body; the emotional mind wants that Oreo cookie. The rational mind wants to change something at work; the emotional mind loves the comfort of the existing routine. This tension can doom a change effort—but if it is overcome, change can come quickly. The book is pretty short and very worth reading, because you will learn how to change your habits that will make you closer to your goals. Find Switch: How to Change Things When Change Is Hard on Amazon. Haunted French pancakes give me the creapes.